Have you decided that custom cabinets are the best option for you? If you have, but still want to add a bit something more to the cabinets, then you should consider glaze. With glaze, you can create an extremely unique look for your custom cabinets, regardless of the door style you have chosen. What’s even better, is that since glaze isn’t a one-size-fits all approach to finishing your cabinets, you will find there are several types of glazes to choose from. Keep in mind, glazing cabinets can be tricky, so you may want to have a professional handle the job for you to ensure it is done right and the desired look is achieved. Learn more about the types available here. With this technique, you apply the glaze by hand (as the name implies wiping it over the paint or stain you have selected for your cabinets. This provides the entire door with a hint of color. As you add more glaze, the color will become more visible. The heirloom finish is also hand-wiped onto your cabinet doors – just like the method mentioned above. The finish of this process is to distress the surface to help give the cabinets the look of “age.” You may also want to sand down your cabinets in places that would naturally receive wear and tear as time passes. If you want your kitchen to have that “lived in” and “loved in” look, then choose the heirloom finish. These are not applied the same way the glazes above are where the glaze is put on the surface and then wiped off. The method for applying pencil glazes is very deliberate. It’s similar to drawing details on the edge or corner of your kitchen cabinet doors and the drawers. The look is much more defined compared to the other, hand wiped application methods. If you would rather have a sharper or a more symmetrical look, then it may be a good idea to consider brushed glazes. Just like with the pencil glaze, the brushed glaze will be applied in a more deliberate manner. It is brushed on the cabinet doors using long strokes. With this method, you can achieve a consistent, vertical brushwork detail. 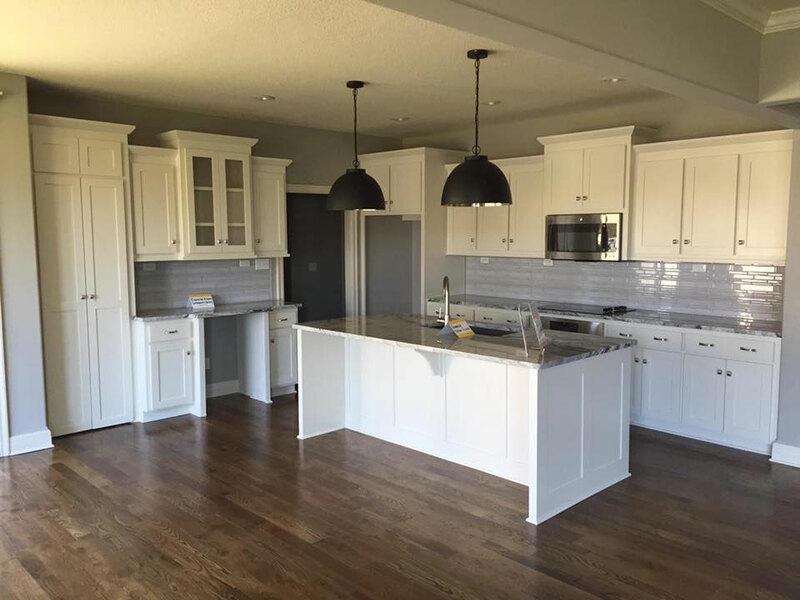 If you have had custom cabinets created, then there’s a good chance you can have the cabinet maker help you with the finishing touches. Be sure to ask them about the application of glaze, and whether or not this is something they will do. While custom cabinets are available in a wide array of styles, colors and sizes to meet your specific needs, there are also ways you can enhance their look even further. Getting to know these methods is the best way to ensure that you get the look and feel for your cabinets that you really want and that you are fully satisfied with how they look once installed in your kitchen.